What exactly is the Internet? Is it a cloud? A network of wires? How does the information travel online? Learn all this and more with Ruby! In Ruby’s world anything is possible if you put your mind to it―even building the Internet out of snow! But before you can build something, you need to understand what it is and how it works. 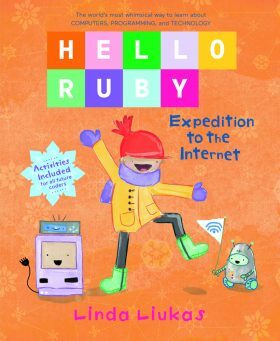 Join Ruby and her friends in their quest to build the most amazing Snow Internet ever, while learning real life facts along the way. Then, future kid coders can put their knowledge and imaginations to the test with the fun and creative exercises included in the activity book section.